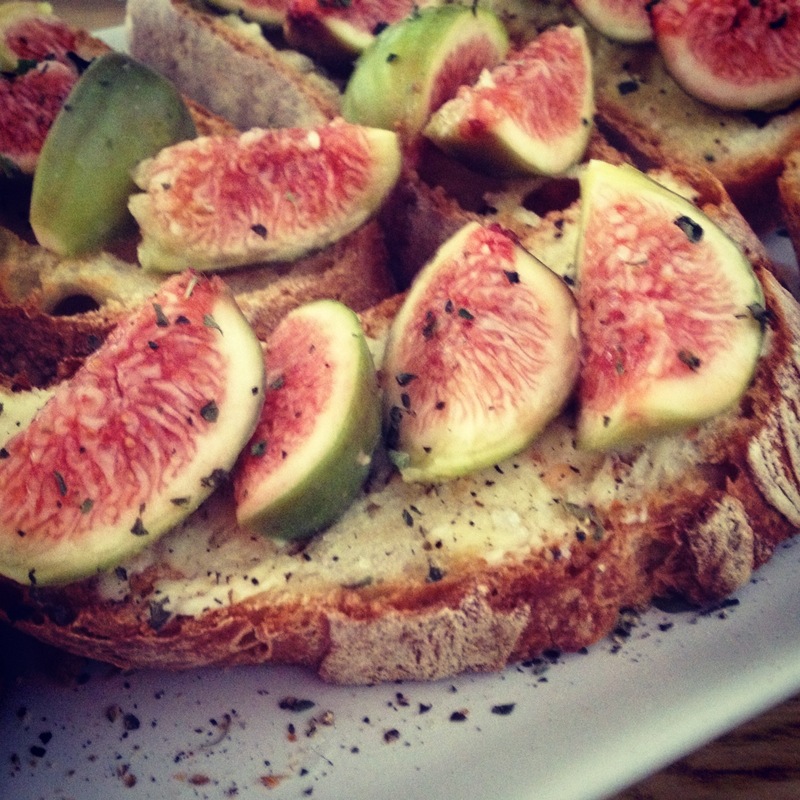 Figs crostinis is a great and pretty one dish meal that is simple to make. Put the bread slices in the oven and whilst toasting, slice the figs (thin or chunky - it's really up to you! ).When the bread slices are warm and toasty, scoop a generous serving of goat riccotta over the toasted bread. Sprinkle salt, pepper, and mint leaves, before laying the fig slices and voila the crostinis are ready to be served!